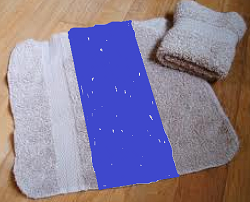 Last night, I was going through my linens, about to toss out those ragged washcloths and towels. 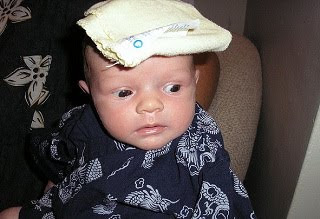 When it occurred to me a washcloth is the perfect size for a diaper doubler! Cut two layers of towel 1/3 the width of the washcloth and stitch to the middle of the washcloth using a zig-zag stitch, just like a prefold diaper. To use: fold into thirds and place inside a diaper for a five layers of terry, quick drying, super absorbent, and free doubler. Or just laid inside a wrap cover.